Adaptive design. Basket studies. Multifactorial. Just statistically complex. Are these more complicated approaches affecting your clinical development plans? Yes, say nearly 70% of respondents in a new clinical trial innovation report by Advanced Clinical. Complexity is rising. Consultants offer the broad experience of working with multiple organizations. They’ve seen best practices in action … and what mistakes to avoid. Interested in the full report and more tips? 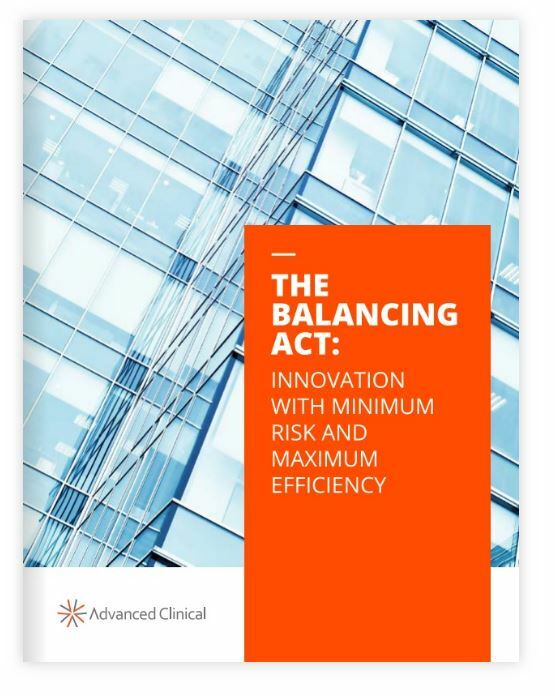 Download The Balancing Act: Innovation with Minimum Risk and Maximum Efficiency today. Market Development Manager at Advanced Clinical.